Another classic alpine run of Australia that takes on some of the most spectacular country in Victoria’s Alpine National Park. 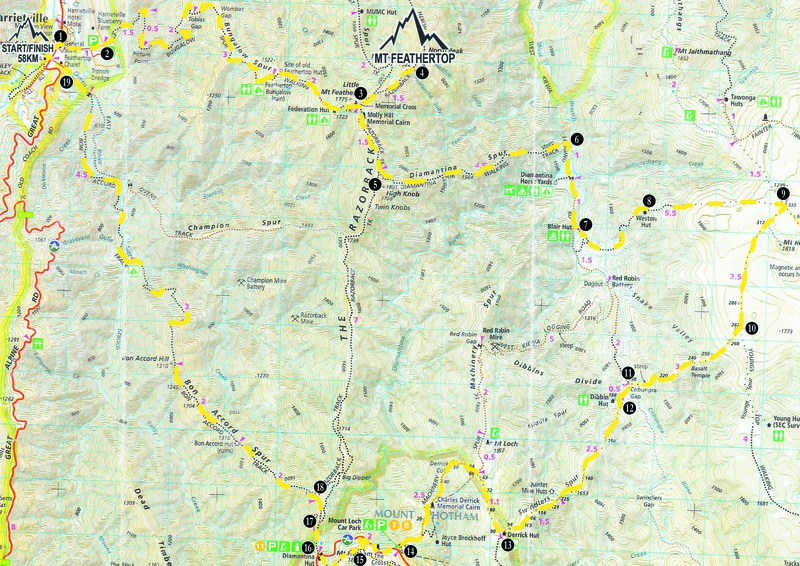 If you are running the Alpine Challenge 100M in November this is a good recy run as it covers some of the course that you battle in the later stages. 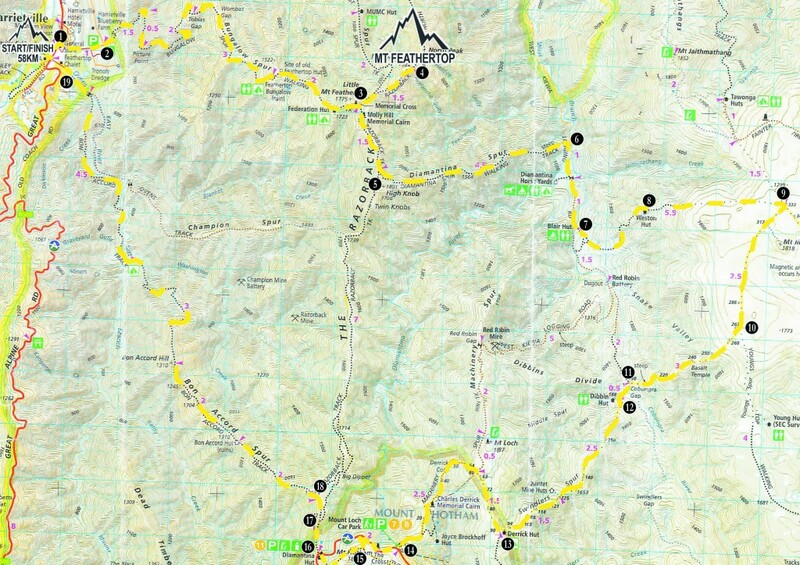 Starting in Harrietville and climbing up Bungalow Spur to the summit of Mount Feathertop then across the high plains to Pole 333 and onto Mount Hotham, then down Bon Accor into Harrirtville. An amazing mountain run for Australia! Food Emergency food Mobile Phone – (highly recommended) and / or Personal Location Beacon NB.